The Parlux 385 PowerLight Ceramic and Ionic Hair Dryer is equipped with a new engine K-Lamination® by Ciaramella longer lasting and more powerful. It is equipped with the Ceramic and Ionic Technology device essential for the health and the elimination of static electricity of the hair. This dryer weighs less than a pound and is made from recyclable materials. And with industry standard ionic and ceramic technologies, the hair is dried from the inside out, leaving the external structure unharmed in the drying process. The reduction of all components has allowed us to create an exceptionally lightweight hairdryer. Preserves the main characteristics of noise (with built-in silencer), balance and grip models Parlux already established. 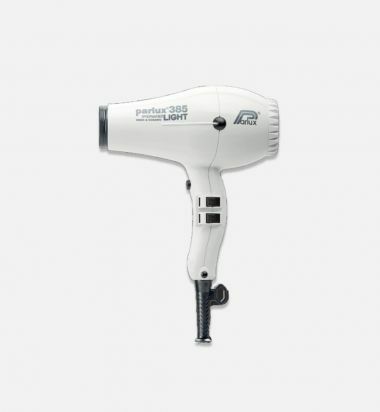 The Parlux 385 PowerLight is made in the ideal fit for the hairdresser. The hair dryer and packaging are made from recyclable materials. The exceptional power of the new Parlux 385 PowerLight makes drying and styling your hair in a very short time thus optimizing the consumption of electricity. 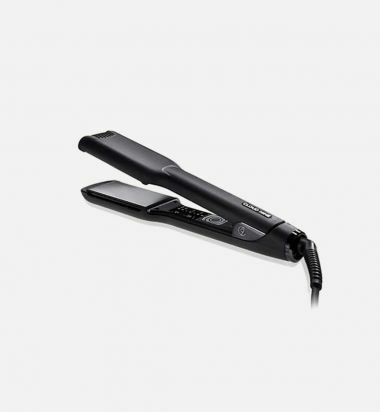 The Cloud Nine Original Iron is the ultimate hair straightener. The multi award winning Cloud Nine Original Iron is the straightener of choice for celebrity stylists around the world. The innovative seven setting temperature control means you can style from a hair friendly 210 degrees to 400 degrees when only hot will do. 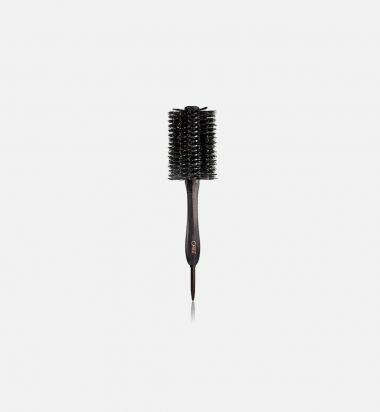 The floating super smooth plates and curved body allow you to straighten, curl, flick and wave without dragging or catching your hair, resulting in beautifully conditioned and highly polished hair. The Cloud Nine Original Iron comes with a one-year manufacturer’s warranty. 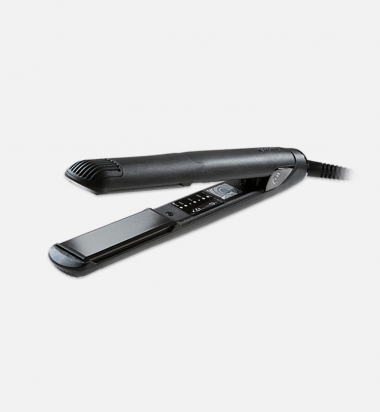 The Cloud Nine Wide Iron is ideal for long, thick hair. The award winning Cloud Nine Irons include our mineral infused plates that glide smoothly through the hair, resulting in beautifully conditioned and highly polished hair. The wide super smooth plates and curved body allow you to straighten, wave or curl more hair, faster. The innovative seven setting temperature control lets you create beautiful looks only applying the amount of heat you need for your hair type – your hair doesn’t have to suffer for your style. The Cloud Nine Wide Iron comes with a one-year manufacturer’s warranty. The O by Cloud Nine Hair is a groundbreaking innovation in professional styling, creating incredible volume in an instant. 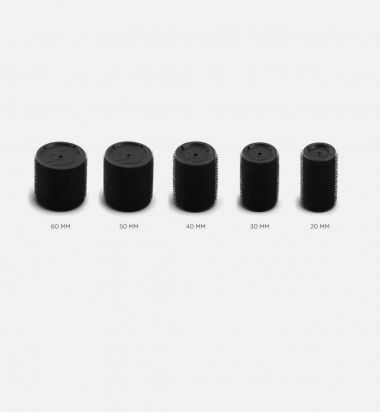 The O rollers range from 20mm right up to 60mm so you can choose the sizes you want to suit your hair length and style. The O pod heats up the soft-grip rollers in less than four seconds, and thanks to the unique heat induction technology, the rollers heat from the core so they're hot in the hair, not in the hand, meaning you can position each roller in place precisely and effortlessly. The Amplify Spray offers a weightless, firm hold formula that helps prepare hair for styling and aids a smooth wrap around the roller, as well leaving a lasting shine. For longer locks that need a little extra support, you can use the perfect fit clips to keep each roller securely in place whilst they work their magic. Each roller has its own heat indicator spot, so you know when they're cool enough to take out, leaving you with hair that's full of body, volume and movement. All you have to do is decide how much volume you can handle. Amplify Spray 4.9 fl. oz. 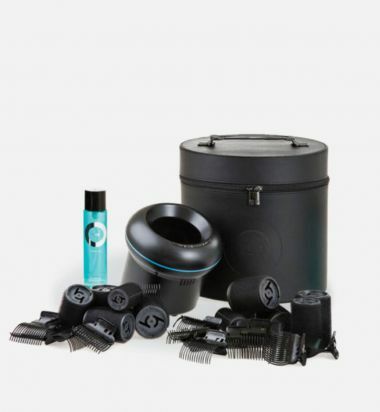 Using revolutionary technology, the O rollers by Cloud Nine Hair heat up in less than four seconds, and thanks to the unique induction heating system, they heat from the core, so they are hot in the hair, not in the hand. As they are soft grip, pins are not essential, and with several sizes available, you can create everything from subtle natural curls to styles full of volume, bounce, and body. 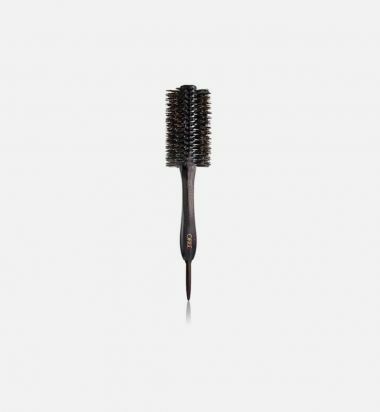 This round brush features high-quality boar bristles to add maximum volume and shine. A sectioning pin is hidden in the end to separate hair while styling.